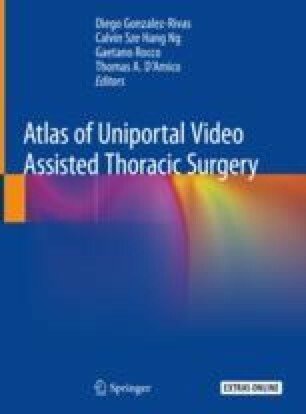 There is growing evidence that minimally invasive esophagectomy (MIE) combining various procedures including VATS and laparoscopy is helpful in lowering postoperative complications while providing similar oncological outcomes. Traditionally, all of the procedures including esophagectomy and esophageal reconstruction are performed with multi-port approaches. In current chapter, we described how these procedures can be performed with single-incision both in the laparoscopic and thoracoscopic phases. With patient and meticulous tissue dissection this complex surgical procedure can be safely and efficiently performed, providing equivalent perioperative outcomes and less postoperative pain. The online version of this chapter ( https://doi.org/10.1007/978-981-13-2604-2_34) contains supplementary material, which is available to authorized users.